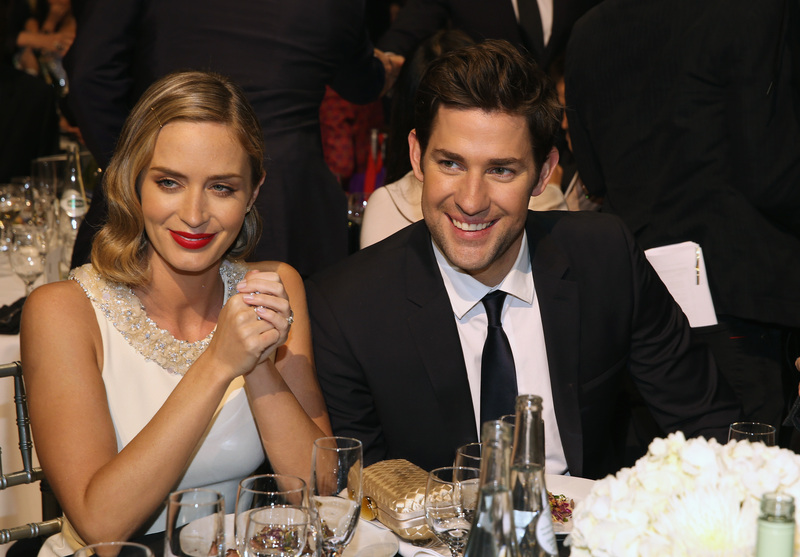 John Krasinski & Emily Blunt Welcome Baby Girl, What Did They Name The Newest Krasinksi? Some babies just have all the luck. It's bad enough that their entire schedule often revolves around eating and sleeping (also pooping), or that they get to wear cute onesies and weep on people without judgment. Now there's a baby out there who gets to claim Emily Blunt and John Krasinski as parents. Blunt and Krasinski announced the birth of their new baby daughter Hazel via the latter's twitter today, Krasinski writing "Wanted to let the news out directly. Emily and I are so incredibly happy to welcome our daughter Hazel into the world today! Happy bday!" Blunt and Krasinski have been together since 2008, and have been married since 2010. It should be noted that a part of that wedding took place at George Clooney's villa in Lake Como, Italy. So, you know, just imagine being a baby who gets to toddle around with the likes of people like Clooney, Matt Damon, and Ben Affleck. That is this baby's future. Hazel is the first child for both Blunt and Krasinski, and she got to spend all kinds of time on the set of Into The Woods with the likes of Anna Kendrick, Chris Pine, Johnny Depp, and freaking Meryl Streep. And sure, she was in utero at the time. But still.